These LED Taper Candles have a flickering bulb that glows just like a real candle, but without the danger of a hot flame. Produces a bright light that works for over 700 hours and use 2 AA batteries (not included). Great for your Halloween candelabras. 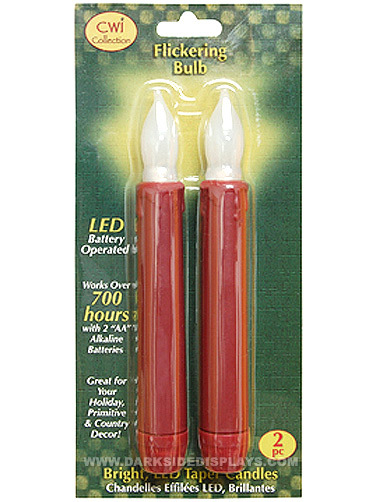 Burgundy colored LED Candles measure 6.25"H. 2 Pc.